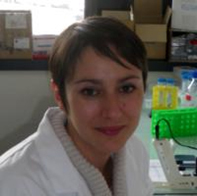 Claire Monge, a post-doctoral fellow of the BIOMIM team, obtained a fellowship from the Société Française de Biologie Cellulaire to participate to the Myogenesis Gordon Research Conference. July 7-12, 2013, Lucca (Barga), Italy. She also gave a talk at the Gordon-Kenan Research Seminar which was held in conjunction with the Myogenesis GRC, July 6-7, 2013, Lucca (Barga), Italy. The title of her presentation was "Expansion of muscle stem cells by modulation of the microenvironment"